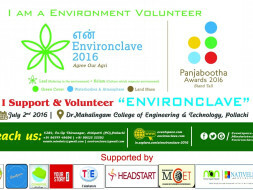 Eventspace.com in association with few other business & social forum such as TiE Coimbatore, Headstart network, Yourstory tamil, Go green Covai, swarga foundation, pasumai suvadugal and few more forums with the support of the local administration & corporates is planning to celebrate "World Environment Day". We had a poster launch successfully done on 5'th June 2016 in the Environment Day. 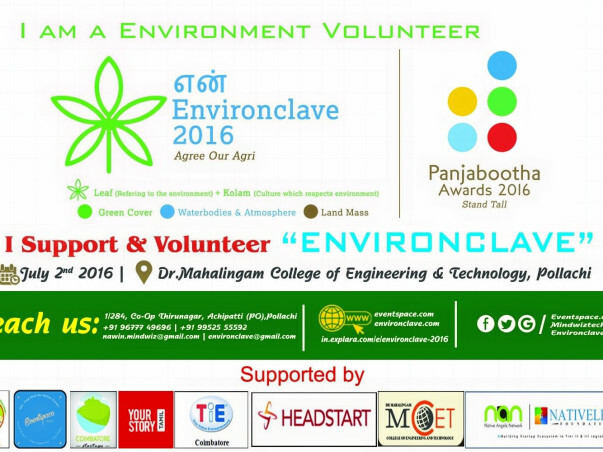 On the occasion to celebrate our environment we are planning for couple of events a "AGRI-GREENTECH-SOCIAL Entrepreneurship conclave" called as "என் Environclave 2016" which is a professional first of its kind international conclave. 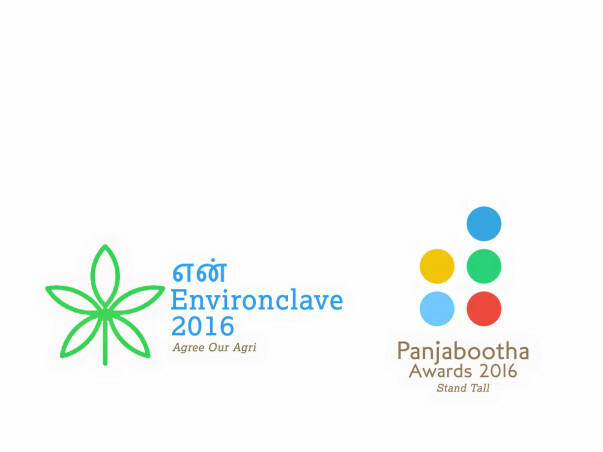 Other event is a award ceremony called as "Panjabootha Awards 2016" were we recognize people who have contributed towards the 5 elements of earth.. Total 15 Awards. Other event is Initiating for cleaning & restoring a lake called as "Krishna Lake" in POLLACHI & the Bio waste will be converted as energy..
And planting of 100000 saplings(trees) in selected 350-400 educational institute, schools, colleges & corporates within Coimbatore, Tiruppur & Erode District withing 4-6 months. For more details read the YOURSTORY Article about ENVIRONCLAVE..